When David’s mother marries the malevolent Mr Murdstone, David’s childhood happiness is shattered. Travelling the rocky road from boyhood to manhood, can lonely David find the strength and courage to survive the perils that lie ahead? 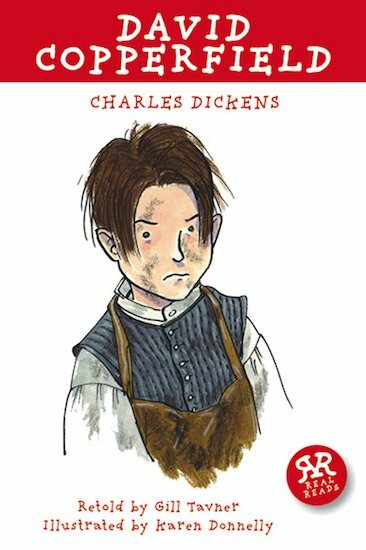 Putting big literature into little hands, this Real Reads book shrinks a towering classic, full of vivid characters, into a punchy short edition for younger readers to get real with. 840L Lexiles are the global standard in reading assessment. They are unique as they are able to measure a child and a book on the same scale – ensuring the right book gets to the right child at the right time.